The summer months here in Texas can be brutal. If you’ve lived here even a year, then you already know that temperatures often climb into the high 90s! In fact, the average temperature in July is 97°F, and temperatures often reach 80°F by the time April rolls around. You are going to want a working air conditioner before spring arrives. Let’s face it, it’s warm year-round here and you probably use your air conditioner more than the average American. Parts wear out with use, and if you’ve noticed your system needs repair, don’t hesitate. Waiting until spring to fix your AC could leave you quite uncomfortable. We believe that every home should have a dependable, effective, and efficient air conditioning system that homeowners can rely upon to keep them cool and comfortable throughout the hottest time of the year. A broken-down air conditioner is a serious problem during the summer season, so it is important to take precautionary measures. It is vital to schedule your air conditioning repair services at the first sign of an issue, thus limiting the chance of further damage and system failure. 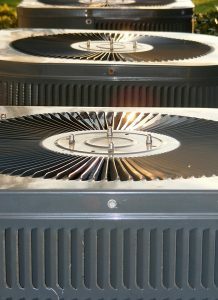 Often, homeowners are unsure as to whether their AC units need repair. A decline in the speed at which air moves through the vents can be a big problem. Usually this means cold air is trapped inside of the system, which can cause the coils to freeze. When the system has to work harder to blow out air, efficiency decreases, and your bills will increase. When your AC system does not provide the relief you need, it suggests low refrigerant and an overheating of parts. This can be problematic. If you notice this, call an AC expert right away. This is another problem that leads to lower efficiency. Save yourself money in the long run by taking care of the issue when it occurs. Does your air conditioner turn on and off multiple times a day without running for very long? This is called short cycling, and is a clear indication something is wrong. A qualified professional can diagnose the cause of this issue and take the steps necessary to fix it. Noises such as humming, screeching, and buzzing are indicative of a number of potential issues. Typically, these sounds will start and stop with the starting and stopping of the air conditioner. Strange noises should never be ignored as it could lead to some serious damage. If you are suddenly paying more for cooling, you have an issue on your hands. Sometimes this is the only sign of a problem, so it is important to pay attention to it. If you are not running your AC more than you normally do, but find yourself with a higher bill, it’s time to call a qualified technician. Roznovak’s Services offers quality air conditioning repair in Georgetown, TX. Don’t put your comfort or the condition of your air conditioning at risk this cooling season. Contact Roznovak’s Services for all your air conditioning needs.